This approach, developed by Maria Montessori in Rome in the early 1900s, is child-centered, where teachers serve as guides. While there is a focus on academics, the distinguishing feature is that children learn at their own pace. As such, at Creative Spaces, we provide students with manipulative toys that are self-corrective; this means that a child knows if they assembled a puzzle correctly, for example, based on the toy fitting together, not because someone showed the child how to do it. Such as in Montessori programs, the focus on letting children learn at their own pace also affects how classrooms are arranged at Creative Spaces. Children ages three, four and five all learn in the same room. This allows the older children to serve as role models for the younger ones, and also exposes children to different ages. 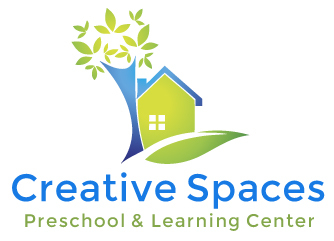 At Creative Spaces, you will enjoy the structure of the program and how children learn to work quietly and independently at a task. Many parents choose Montessori because they believe it helps their children acquire leadership skills and independence in general.